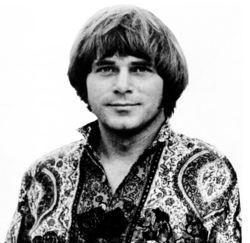 Joe South (born Joseph Alfred Souter; February 28, 1940 – September 5, 2012) was an American singer-songwriter, guitarist, and record producer. Best known for his songwriting, South won the Grammy Award for Song of the Year in 1970 for "Games People Play" and was again nominated for the award in 1972 for "Rose Garden". South started his pop career in July 1958 with the NRC Records novelty hit "The Purple People Eater Meets the Witch Doctor". After this hit, South's music grew increasingly serious. In 1959, South wrote two songs which were recorded by Gene Vincent: "I Might Have Known", which was on the album Sounds Like Gene Vincent (Capitol Records, 1959), and "Gone Gone Gone" which was included on the album The Crazy Beat of Gene Vincent (Capitol Records, 1963). South was also a prominent sideman, playing guitar on Tommy Roe's "Sheila", Bob Dylan's Blonde on Blonde album, and the classic tremolo intro on Aretha Franklin's "Chain of Fools". South played electric guitar on Simon & Garfunkel's second album, Sounds of Silence, although Al Gorgoni and/or Vinnie Bell feature on the title track. Billy Joe Royal recorded five South songs: "Down in the Boondocks" (also covered in 1969 by Penny DeHaven), "I Knew You When", "Yo-Yo" (later a hit for The Osmonds), "Hush" (later a hit for Deep Purple, Somebody's Image with Russell Morris, and Kula Shaker), and "Rose Garden" (see below). Responding to late 1960s issues, South's style changed radically, most evident in his biggest single, 1969's pungent, no-nonsense "Games People Play" (purportedly inspired by Eric Berne's book of the same name), a hit on both sides of the Atlantic. Accompanied by a lush string sound, an organ, and brass, the production won the Grammy Award for Best Contemporary Song and the Grammy Award for Song of the Year. South followed up with "Birds of a Feather" (originally "Bubbled Under" at No. 106 on February 10–17, 1968, more successful as a cover by The Raiders that peaked on the Hot 100 at No. 23 on October 23–30, 1971) and two other soul-searchers, the back-to-nature "Don't It Make You Want to Go Home" (also covered eight months later by Brook Benton With The Dixie Flyers) and the socially provocative "Walk a Mile in My Shoes" (also covered by Elvis Presley in a Las Vegas era version, Bryan Ferry, and Coldcut). South's most commercially successful composition was Lynn Anderson's 1971 country/pop monster hit "Rose Garden", which was a hit in 16 countries worldwide. Anderson won a Grammy Award for her vocals, and South earned two Grammy nominations for it, as Best Country Song and (general) Song of the Year. South wrote more hits for Anderson, such as "How Can I Unlove You" (Billboard Country No. 1) and "Fool Me" (Billboard Country No. 3). Freddy Weller, Jeannie C. Riley, and Penny DeHaven also had hits on the Billboard country chart with South songs. In addition, other artists who have recorded South-penned songs include Jerry Lee Lewis, Johnny Cash, Glen Campbell, Loretta Lynn, Carol Burnett, Andy Williams, Kitty Wells, Dottie West, Jim Nabors, Arlen Roth, Liz Anderson, The Georgia Satellites, Waylon Jennings, Dolly Parton, Ike & Tina Turner, Hank Williams Jr., James Taylor, the Tams, and k. d. lang, although most covered versions of South's best known songs. The 1971 suicide of South's brother, Tommy, resulted in Joe becoming clinically depressed. Tommy South had been his backing band's drummer and accompanied South not only in live performances but also on recording sessions when South produced hits for other artists, including Royal, Sandy Posey, and Friend and Lover, including their #10 Billboard hit song "Reach Out of the Darkness." In an interview with Amy Duncan of Christian Science Monitor, South said, "I didn't see myself doing [drugs] for the kicks. I did it more or less to keep going, and to tap into inspiration. I equated the chemicals with the inspiration." South's drug use resulted in a surly attitude toward audiences, and he left Capitol after two unsuccessful albums. South lived for a time in the 1970s on the Hawaiian island of Maui. He said, "I really kicked myself around for years … one of the main hang-ups was I just refused to forgive myself," he told Duncan. "You know, you can go through drug treatment centers, and it's not a permanent healing until it's a spiritual healing." No information is available about South's first marriage, divorce or his first wife. In 1987, South made Jan Tant his second wife. South said this marriage helped turn things around, and Tant's inspiration helped him return to writing songs and occasional appearances in public. South fathered one child, son Craig South, who is a voice-over artist in Southern California. South won two Grammy Awards, for Song of the Year and Best Contemporary Song, for the single "Games People Play," in 1969. South was inducted into the Nashville Songwriters Hall of Fame in 1979 and became a member of the Georgia Music Hall of Fame in 1981. In 1988, a Dutch DJ, Jan Donkers, interviewed South for VPRO-radio. The radio show that aired the interview also played four new songs by South, but a new record was not released. On September 13, 2003, South performed during the Georgia Music Hall of Fame induction ceremony and played with Buddy Buie, James B. Cobb, Jr., and Chips Moman. South's final recording, "Oprah Cried", was made in 2009 and released as a bonus track on the re-release of the albums So the Seeds are Growing and A Look Inside on one CD. South died at his home in Buford, Georgia, northeast of Atlanta, on September 5, 2012, of heart failure. He was 72. South and second wife Jan Tant, who died in 1999, are buried in Mount Harmony Memorial Gardens Cemetery, in Mableton (Cobb County), Georgia. "Don't It Make You Want to Go Home" (with The Believers) 41 27 16 42 11 18 Don't It Make You Want to Go Home? ^ "Joe South ~ The Official Site". Archived from the original on October 29, 2013. Retrieved October 26, 2013. ^ Gilliland, John (1969). "Show 52 – The Soul Reformation: Phase three, soul music at the summit. [Part 8] : UNT Digital Library" (audio). Pop Chronicles. University of North Texas Libraries. ^ Wall, Jeff (March–April 2007). "Joe South: Down in the Boondocks". American Songwriter Magazine, the craft of music, heritage series. Archived from the original on October 29, 2013. Retrieved September 15, 2011. ^ Unterberger, Richie (2000). "Liner Notes for Friend & Lover's "Reach Out of the Darkness"". Retrieved 2017-12-11. ^ "Georgia Music Hall of Fame Inductees | Inductee Years Archive | 1981 Inductees". Georgiamusicmag.com. Archived from the original on January 24, 2013. Retrieved September 7, 2012. ^ "De Avonden -> Artikelen -> Jan Donkers' archief: Joe South (1988)". Vpro.nl. Archived from the original on March 19, 2012. Retrieved April 25, 2012. ^ "Joe South, who wrote Games People Play, dies aged 72". Retrieved September 7, 2012.